Here I will create for you 55 Dofollow SEO Backlinks from high authority domains with a complete report in excel sheet with login details. For $5 What You Will Get? 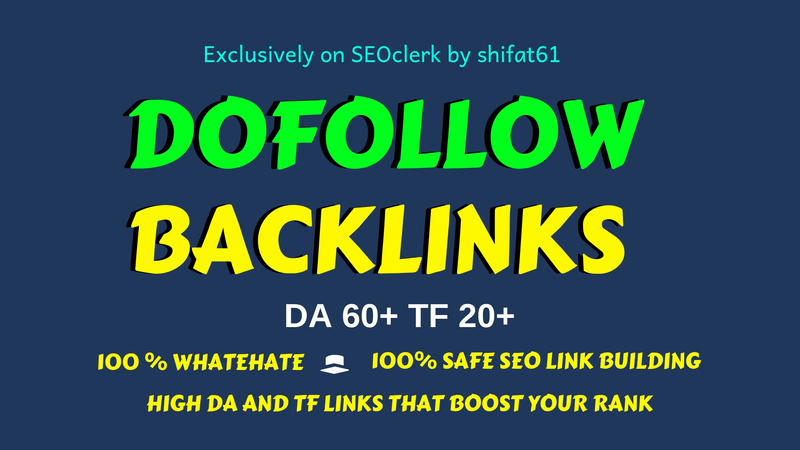 55 Dofollow SEO Backlinks, Boost Your Google Ranking is ranked 5 out of 5. Based on 3 user reviews.